Some people will tell you growth is all about volume, volume, volume. But if that's not working for you, increase the intensity and do more with less! For years, skinny guys have been led to believe they need to train for longer in order to build big muscles. The reality, I've found, is almost the opposite. Skinny guys actually need to train less—and, of course, eat more. Eating more is an art unto itself. I touched on it earlier this year in my article "Five Secrets for A Better Bulk." So let's talk training. In my experience, skinny guys must approach building muscle the same way they would approach getting a sun tan. A what? Stick with me. Think of it this way: Exposure to sunlight doesn't produce a tan. The ultraviolet radiation in sunlight stimulates melanocytes in the skin to produce more melanin as a protective mechanism, thus darkening the skin. The brighter the sun, the more intense the radiation, and the stronger the stimulus will be to melanocytes. But even when the stimulus is perfect, your tan doesn't happen overnight. It happens over time. The same situation arises when you expose your body to exercise-induced stress. The greater the stress that is placed, the greater the stimulus for super-compensation to occur will be. The key is finding the sweet spot in terms of intensity—that is, the percentage of your 1-rep max. In short, we're going to spark our muscles into muscle growth, not force them. Our bodies are incredibly adaptive. This means they're capable of amazing things, but it also means they need powerful stimulus in order to make major changes. Just like you can lie outside for an entire cloudy day without getting any more tanned, you can spend all day in the gym and not see any appreciable muscle growth. But on the other side, our bodies also have a limit to how much stress, and sun, they can handle within a period of time. A certain amount of ultraviolet radiation, in certain doses, will produce a nice-looking tan. Go beyond that point, and the skin gets damaged, resulting in a burn. Likewise, to a certain point in a workout, intense exercise stress will create the potential for new size, strength, and stamina. Beyond that, it will lead to exhaustion. In the short term, that can put you at risk for injury. Stretch it out for weeks and it can push you toward overtraining, where your body struggles to recover from the intense demands being repeatedly placed on it. Remember, the training effect is the desired goal of the training. The training effect could be anything: increased relative strength, muscle growth, "functional" hypertrophy, or muscle endurance. But the training effect isn't experienced until you recover from the training. To continue the metaphor, if you sun tan for five minutes, your body needs time to recover from that five minutes and adapt before you expose it to 10 minutes. Likewise, if you bench press 4 sets of near-maximal weight—let's say 225 pounds—with 2 minutes rest, you'll need some rest before you can bench press 4 sets of 230 pounds with 2 minutes rest. Failure to respect these recovery needs can leave you feeling—and becoming—weaker rather than stronger. Things would be a lot easier if everyone responded the same to every workout. But, just like darker-skinned individuals can tolerate a longer duration in the sun as compared to someone with lighter skin, some skinny guys can tolerate a higher frequency of training. I've devoted plenty of time to questions of volume, intensity, and frequency on my weekly TV show Live Large TV, because it's a never-ending discussion with many different approaches and theories to consider. Ultimately, experimentation and accurate records are the only ways you will determine how to individualize the different training variables for success. I found that following a low-volume, high-intensity program is a solid method to establish where you are and what will work best for you. Intense exercise stress will create the potential for new size, strength, and stamina. Tempo: A tempo of 3-1-1 means that the eccentric, or lowering, portion of the lift should take 3 seconds; there should be a 1-second pause; and then a 1-second concentric portion. Why Is This Workout Effective? Each body part gets approximately five sets per week. 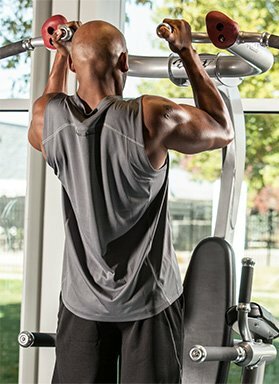 Classic hypertrophy programs rely on closer to 10-25 sets per muscle group, so this allows an opportunity to increase the intensity, a variable that can stimulate new muscle growth. Working between 6-12 reps creates the desired training effect of hypertrophy, and by saving one high-rep set to end each exercise you ensure you don't neglect muscular endurance. Err on the higher side for functional hypertrophy, in order to ensure you can stimulate the high-threshold motor units on each set. These neuromuscular connections are only utilized when you put out serious force. This program is deceivingly simple. There is equal volume between horizontal pulling and horizontal pushing movements, vertical pulling and vertical pushing, quad and hip, and upper and lower body. All the primary movements of the body are represented. The principle of kaizen can be applied to each workout. This is a Japanese way of life that stresses constant and never-ending improvement. Small changes gradually lead to bigger changes long-term. The goal should be to increase your loads by 2 percent from set to set, and to start each workout 2 percent heavier than your previous workout. 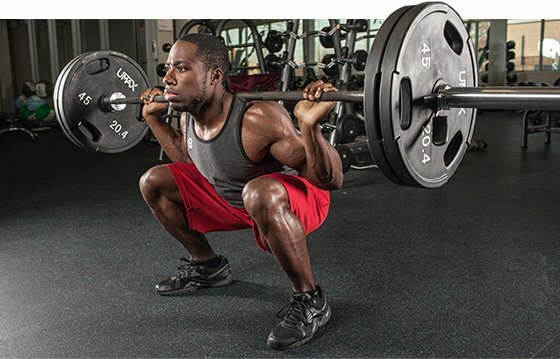 This allows you to experience progressive overload, a critical ingredient for muscle growth. Even if you're not a skinny guy, this workout is a great way to stimulate new gains by dropping the volume and increasing the intensity. Don't judge it until you've given it an honest shot!